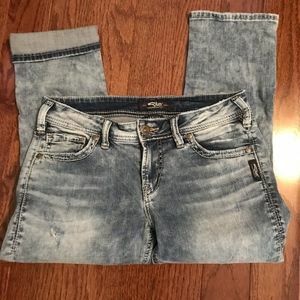 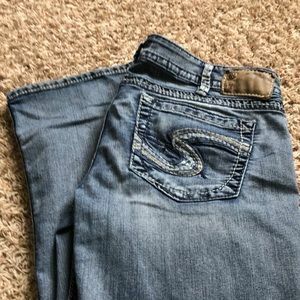 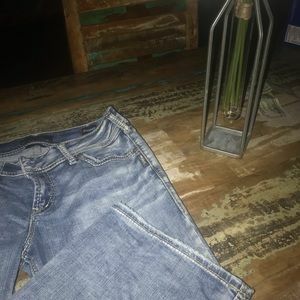 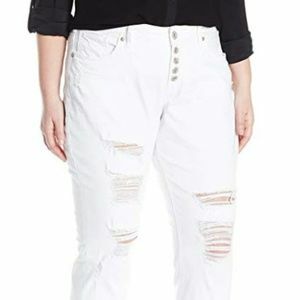 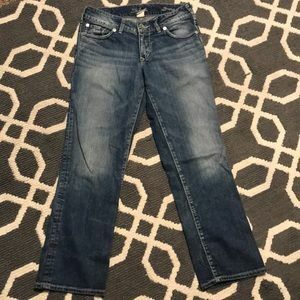 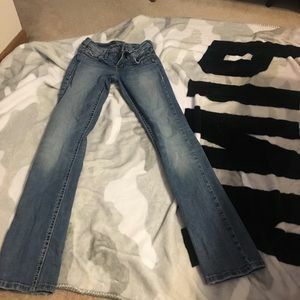 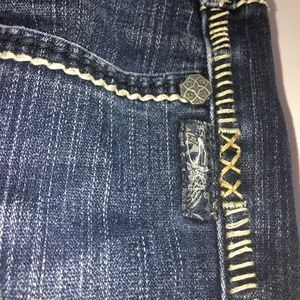 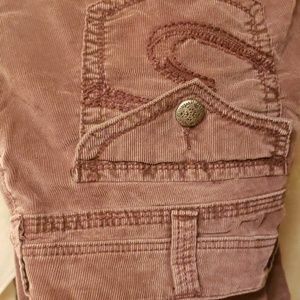 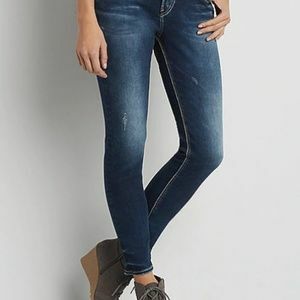 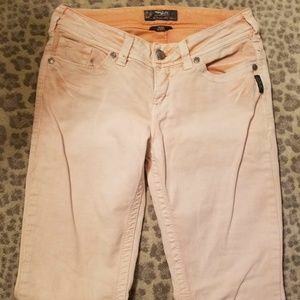 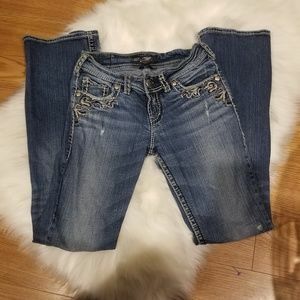 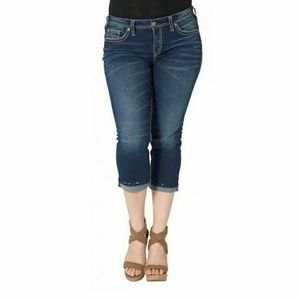 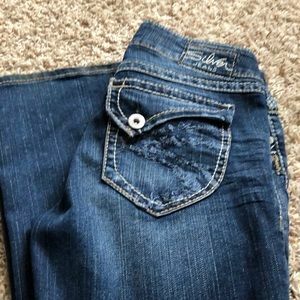 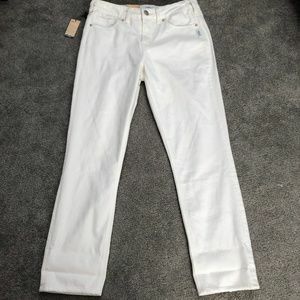 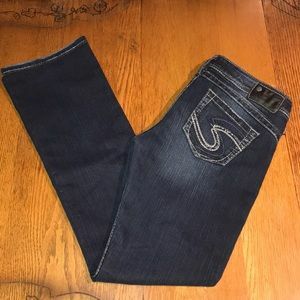 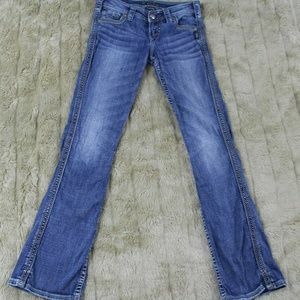 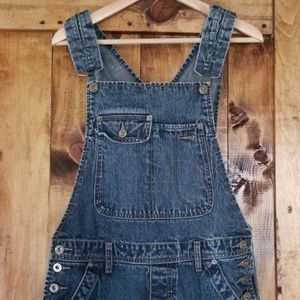 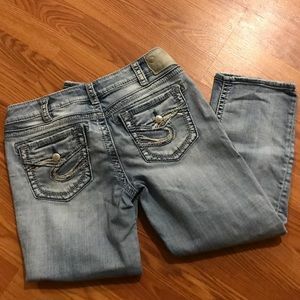 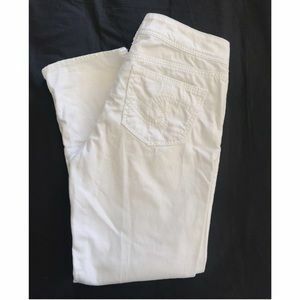 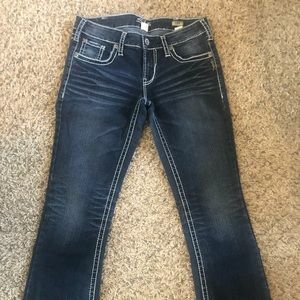 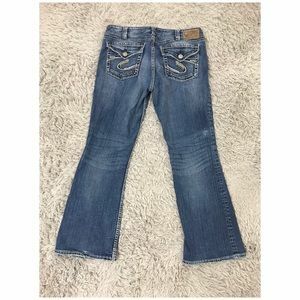 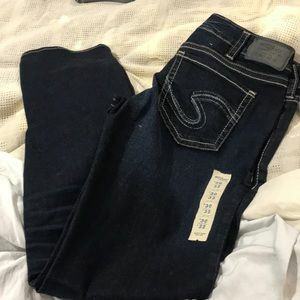 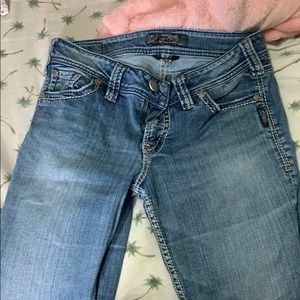 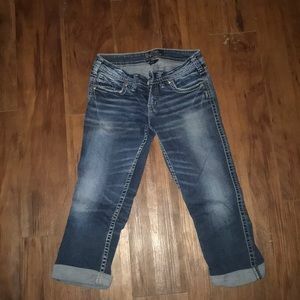 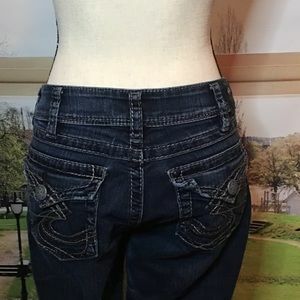 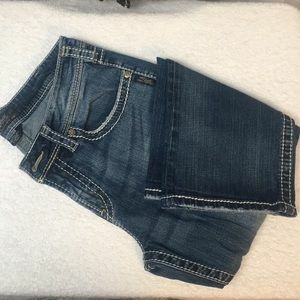 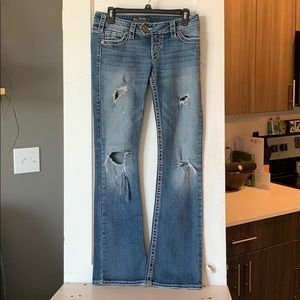 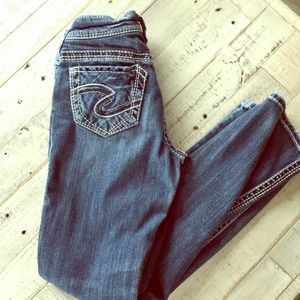 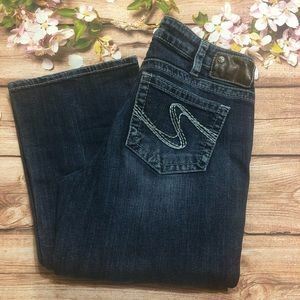 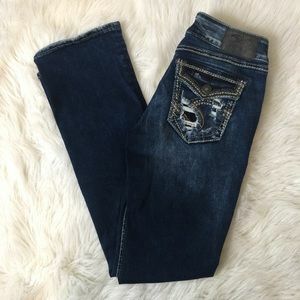 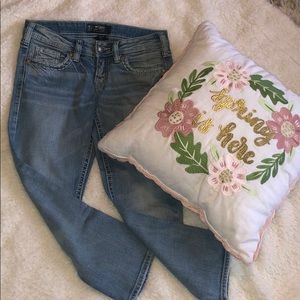 Silver AIKO jeans. 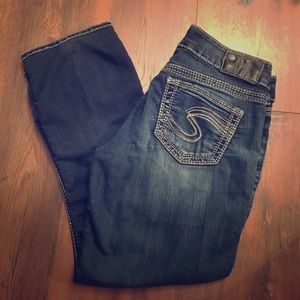 Straight leg. 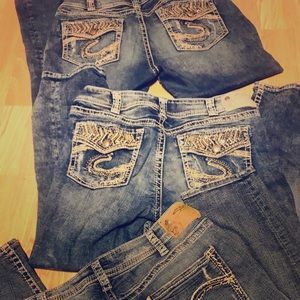 Silver jeans. 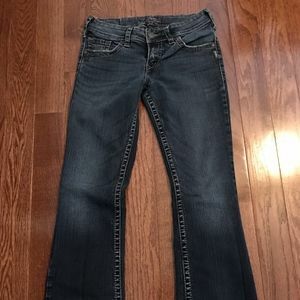 Tuesday boot cut.